One of the tasks you asked for is the data research which is a job that really needs a lot of time to be accomplished in a proper way. To help us creating leads there are software solutions which extract emails and telephone numbers but the lists you get needs to be cleaned up from contacts not really concerning of what you are looking for. This is the huge part of the task that takes the most of your working hours, even to get only 100 leads. There are a lots of software that helps you with the research only typing keywords or websites and they will extract a huge list of contacts, some of them extract only emails and others telephone numbers too. Once you have saved it, the list is ready to be cleaned up and here’s start the hard work. To create a list for your customers you should ask them all the information about what kind of contacts they need so you will supply a list which is going to satisfy their expectations. How to make a good research? Run a research of website to use to get as much as good contacts for the list you have to provide. After you get a list of 50 just check the contacts to see if the research is getting the right results. 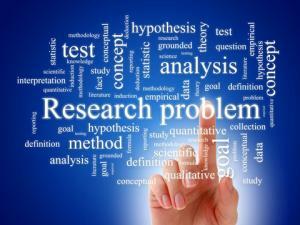 Sometimes customers believe that the research it’s easy task, but is not! They should understand the procedure of cleaning up a list of thousands contacts. Lots of junks and contacts that are not strictly connected with what you are looking for. The hard job to clean up the list and it takes the major part of your time. Can happen in one hour that you get 20 good contacts, but the following nothing. how much you would like to earn? Don’t forget that in the meantime you’ll need to keep ahead with other task in order to succeed in accomplishing the tasks. Once your customers understand it’s not so quick and easy, they would be able to accept the offer you have done. Decide a price on your side it depends on how much time are you going to dedicate, how short is the deadline and if it’s an ongoing job or just a project. Explain the customers the quality of the job you are going to delivery. Once you make clear this few points you are probably ready to start an ongoing job/project for your customer! Good luck!